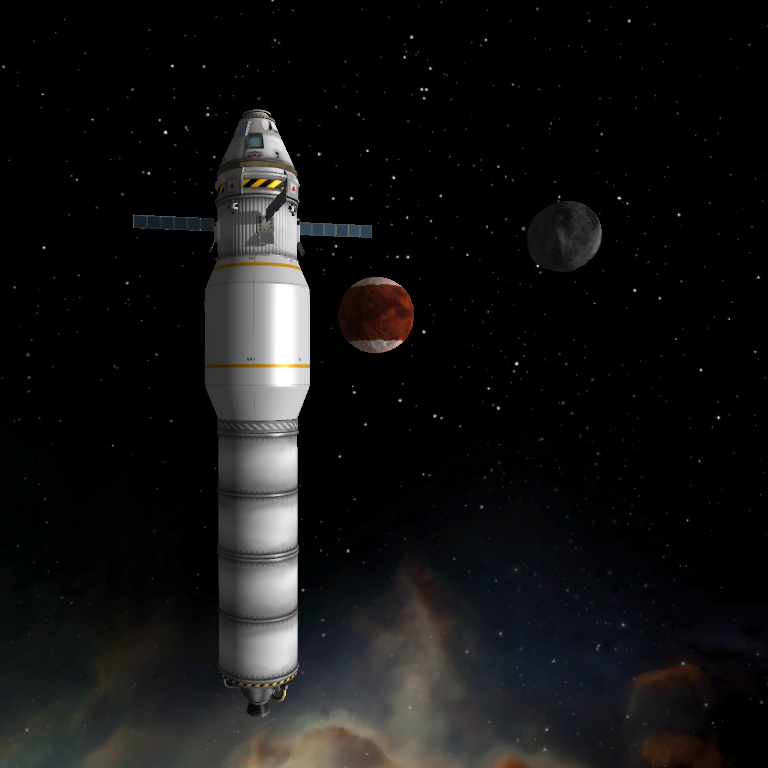 A stock rocket called Barsoom Lander 04. 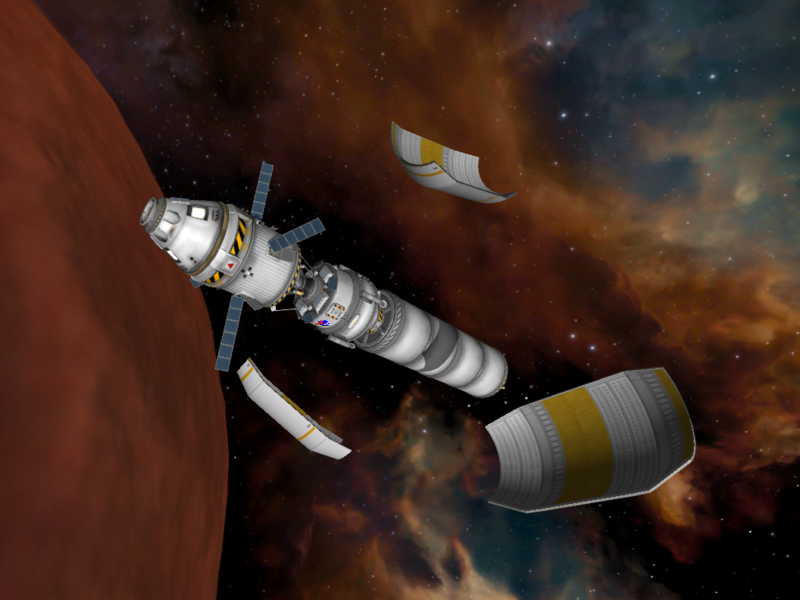 Built with 97 of the finest parts, its root part is Mark1-2Pod. 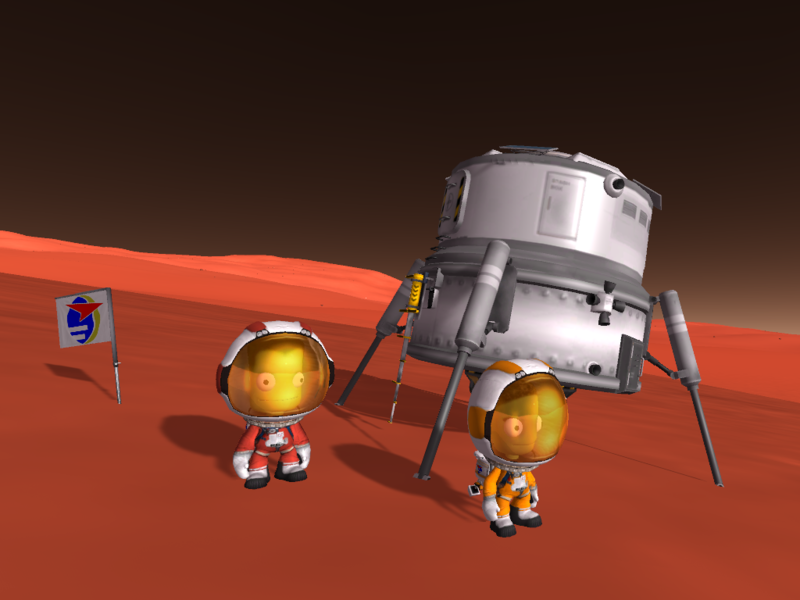 Once in orbit around Duna, you can discard the fairing and transfer the crew to the lander. 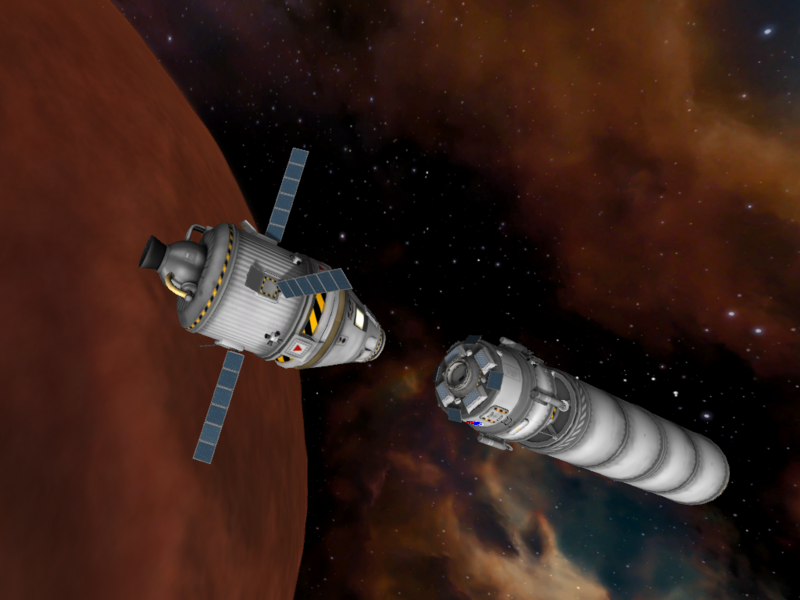 Unlike Apollo and more like Korolev’s plan, the stage used for the transfer from Kerbin to Duna is also used for deorbiting the lander. 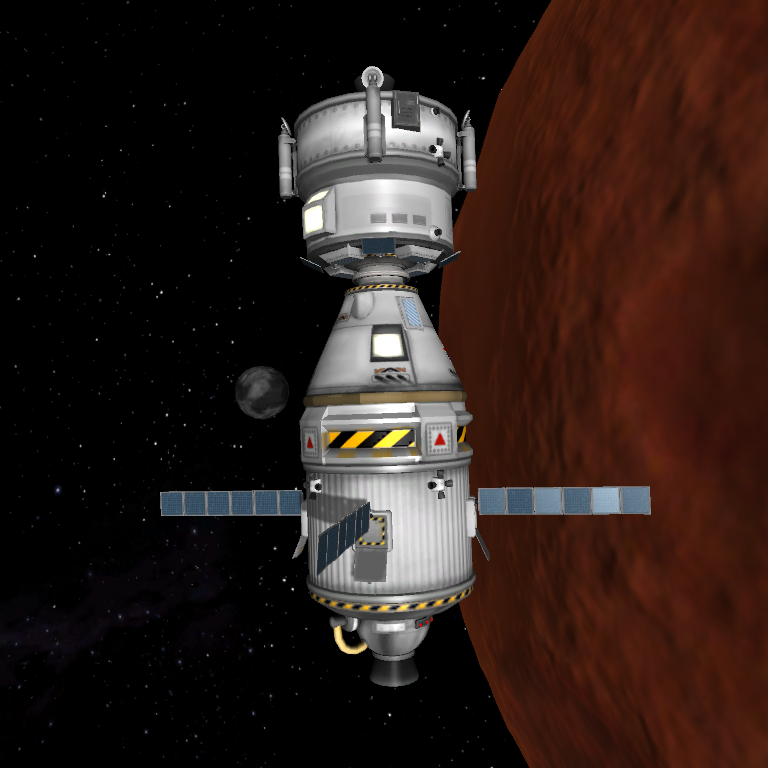 This preserves the maximum amount of fuel in the lander for the return. 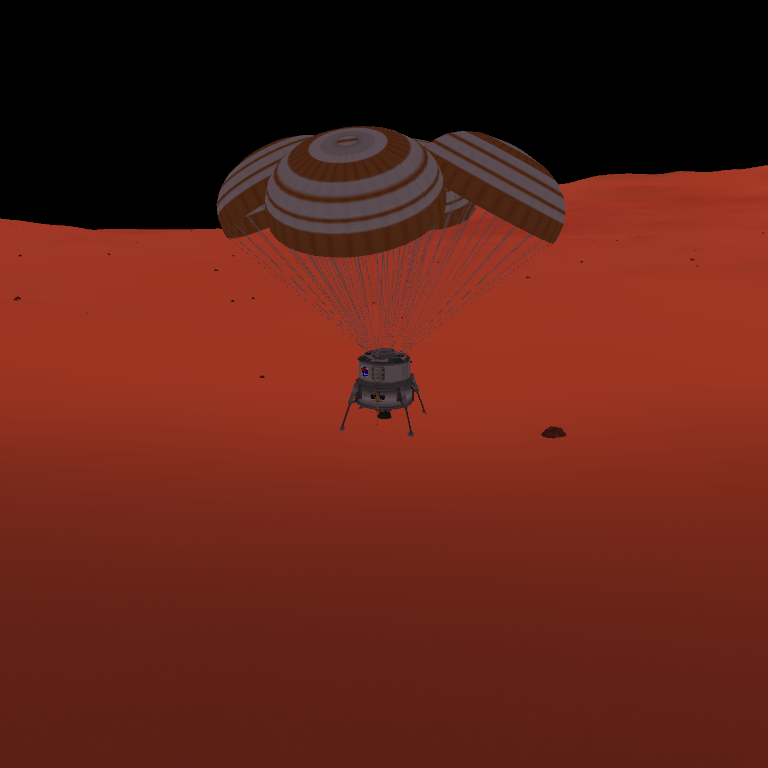 Four parachutes should be enough for landing the craft, again, preserving the maximum amount of fuel for the ascent. 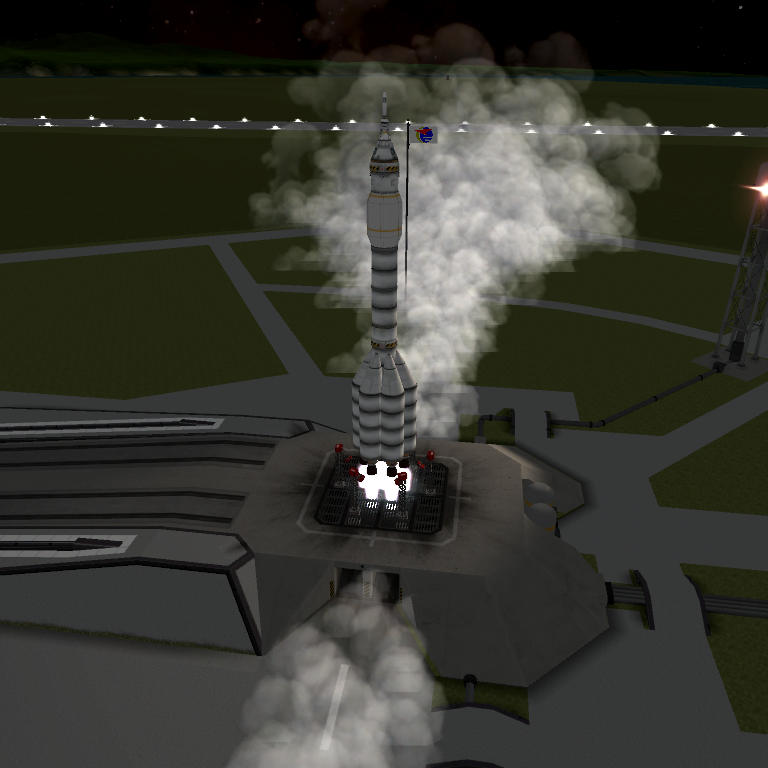 You might want to use the engines for a gentle touchdown at higher elevations but only at the last moment.